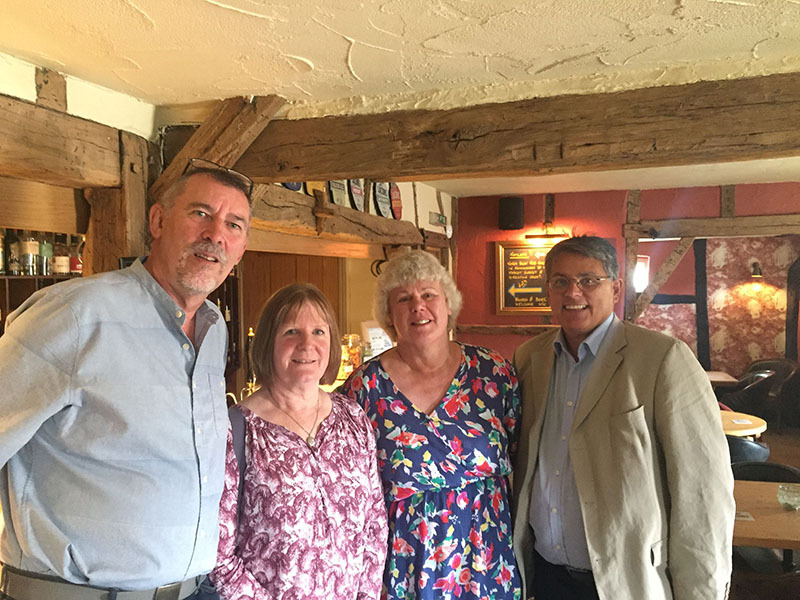 On Friday 14 September 2018 a mini reunion was organised by Jennie Foster (Clarke) at a very nice pub in central Norfolk. The photo shows Steve Read, Sandra Deacon (Partridge), Jennie Foster (Clarke) and Steve Bishop. Sandra, Jennie and Steve B. were classmates in the late 60's and it's the first time Sandra and Steve have met since 1972!